SteelCentral APM had a very busy and exciting 2016! Here is a quick retrospective of 2016 and what is on the horizon for 2017. 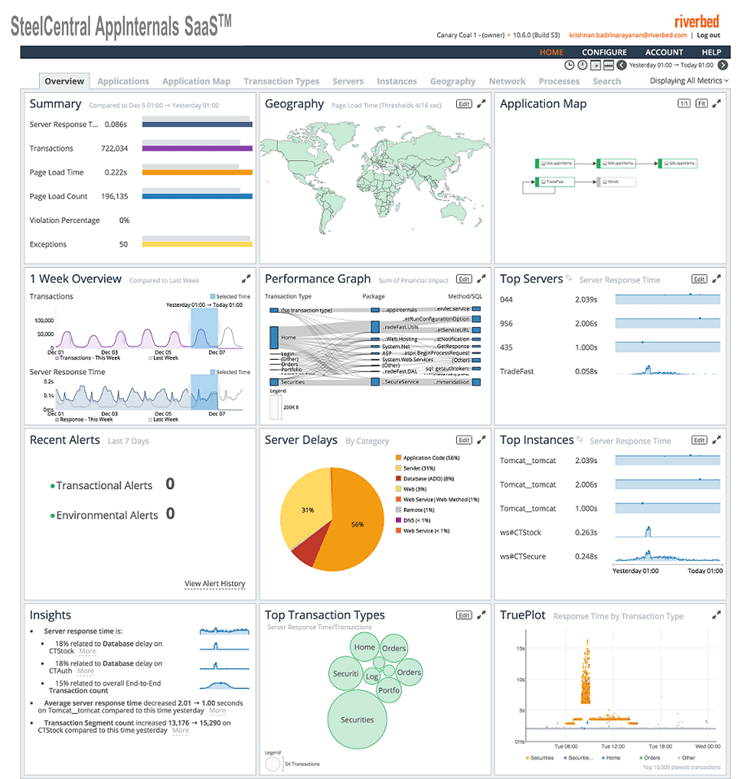 Enhanced the APM offering, SteelCentral AppInternals, to extract business impact insights and extend monitoring into container-based environments. Launched a SaaS version of AppInternals that does not require installing a server within the datacenter. Users / Customers simply sign-up, deploy monitoring agents on and off the cloud, and can enjoy insights within minutes. Added capabilities to monitor network traffic on and off the cloud, in the SaaS version of AppInternals. The product now delivers end-to-end monitoring—end-users, applications, servers and the network. Acquired Aternity, a leader in device based APM and EUE Monitoring. The combination of Aternity, AppInternals and other SteelCentral components will be a vastly differentiated APM solution in the market in 2017! SteelCentral APM is now being deployed in minutes to monitor cloud and on-premise environments with a single unified approach. The platform offers comprehensive monitoring and diagnostics that span all layers of the application from the user device, through the wire and application logic, to the underlying data sources. The user interface has a consistent look and feel and is accessible to new and experienced users alike. Understanding the user journey is ever more important because of the ongoing digital transformation efforts. With Aternity joining the SteelCentral family our customers are gaining an unprecedented level of visibility of how users interact with applications at the user device. This unique vantage point coupled with the SteelCentral APM’s ability to capture and analyze every user transaction enables the most comprehensive Digital Experience Monitoring platform in the APM market. Applications are increasingly more complex as they are designed to span across cloud and on-premise. Furthermore the underlying environments are more ephemeral with container and PaaS resources provisioned on demand. Because of the unique characteristics of next gen applications we introduced the Performance Graph which leverages big data analytics to identify and predict bottlenecks across the application environment. We will continue enhancing the Performance Graph with additional monitoring data, and will offer more insights to help diagnose a wider range of application performance problems. SteelCentral Aternity user device data will be integrated across the APM platform and enhance the cross-domain analytics. We will look toward enhancing the DevOps experience and make performance data available throughout the toolchain. Our goal is to help customers make performance analysis integral to the dev-test-deploy cycle and improve the application quality and release cadence.